OTT stands for Over-the-Top. The OTT umbrella supports the delivery of film and TV content over the internet, merging television and digital video to forge a singular, revolving content stream. It's a little jarring knowing next year will be the first year we spend more time on the internet than we do watching television. We're amidst a paradigm shift. What sold during the cable television dynasty, no longer entices the modern consumer, and we have no choice but to accept our broadcasting archaisms as casualties and push on. 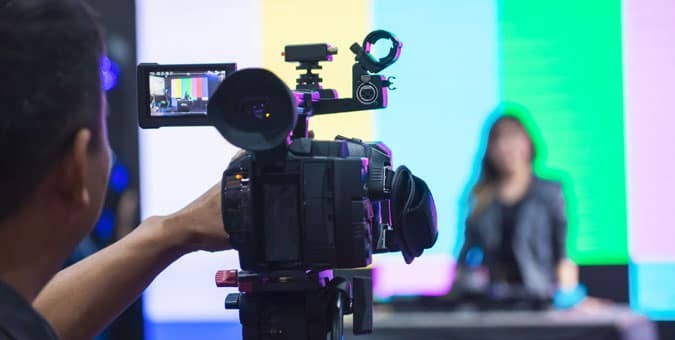 We need to think of the Media and Broadcasting ecosystem as a rolling stone, a continuous and frenetic movement with a destination we haven't yet defined, but enough momentum to keep pushing forward. In other words, we know we're moving away from traditional, cable boxes and channel bundling, and we have unearthed a powerful alternative, but this eclectic environment is just a pit stop in an ongoing evolution. Where we are now: we're over the top. Here are our main talking points, if you want to jump ahead. 5 What Does Chetu Know About OTT Platforms? Over-the-Top platforms (OTT) are a natural progression. They're a byproduct of technological disruption, a means of integrating the digital revolution into one of the most iconic, modern conveniences. The OTT umbrella supports the delivery of film and TV content over the internet, a merging television and digital video to forge a singular, revolving content stream. 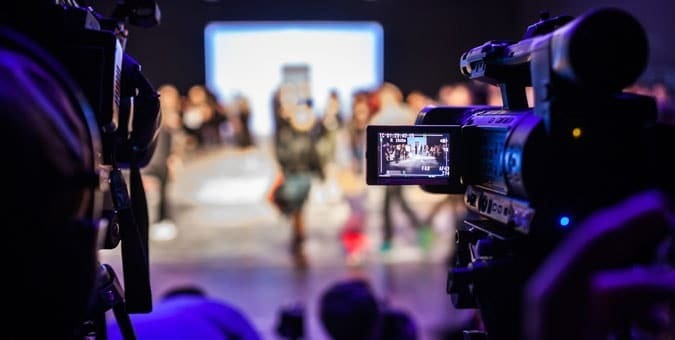 Advancements in data management, cloud-based storage, and streaming have given way to an entire lineage of OTT related products, software, apps, content, and marketing campaigns. For the companies pondering OTT concepts before we put a name to them, there's one force that finally shook their ideas loose and forced them into action—Netflix. Netflix came barreling through like a bullet, rattling the architecture we built for content delivery and making us think to ourselves, what now? Well, now over 181 million people engage with OTT platforms regularly. When Netflix traded in their DVD rental service for a digital content library, the rest of the broadcasting industry met a crossroad. Follow in their footsteps and launch comparable OTT platforms, or get left behind like Blockbuster. Regardless how you plan to use your OTT platform, you're going to need a massive data management system. Cloud-based systems are the obvious choice here, and this is what we recommend to clients. High-quality content, delivered rapidly comes at a high-data cost—the cost of being successful in the OTT scape. End-users demand instant and endless access to a content-rich repository. Just like all other cloud-based systems, we can leverage SaaS options or engineer a proprietary solution. In terms of SaaS, AWS (Amazon web service) is a powerful data storage device, or Chetu can scale a unique cloud-based OTT workflow to your business model (which we'll get into more later). Ultimately, cloud-based OTT workflows are the best way to secure sustainability. If just 50 years ago, we turned on the first television, imagine where we'll be 50 years from now, imagine the potential OTT user-base. OTT is where we're headed, and cloud services are the crutch we need to remain scalable, accessible, and ahead of the curve in an environment with dynamic data storage needs. Data storage may be on the forefront of cloud-based campaigns, but accessibility and delivery are close companions. The relationships between data and delivery for OTT platforms, goes along with the old if a tree falls in a forest, and now one is there to hear it, does it make a sound adage. If we have data, but no means of delivery, does the data really have value? If we have the delivery means, but nothing to deliver, did the delivery really happen? 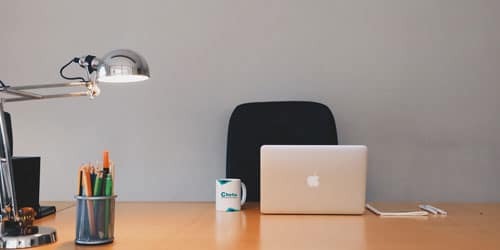 Not only do we have to provide for singular users, but concurrent users, looking to access the same content at the same time and from the same account. Your ability to survive in the wild amongst competing OTT platforms, will depend on your adaptability, how you structure your boat as the tides change. The greatest adaptability is a symptom of first-rate development, engineering a custom, scalable solution, rather than a one-size-fits-all. We need cross-platform support, multiscreen support, a sleek frontend, and an elastic backend, load-bearing backend, dedicated endpoints, and proprietary APIs. For OTT platforms, the frontend and backend must be equally intelligent. That intelligence boils down to streaming protocol and UI/UX. In terms of streaming protocol, it really boils down to two primary options: RTMP (Real-time Messaging Protocol) and HTTPS live streaming. We recommend saying goodbye to any non-HTTP based streaming protocols; they're likely to become obsolete in the years to come. HTTP live streaming gets the job done at the best quality and the best cost. It facilitates cross-browser, device, and channel usage, the exact adaptability we're looking for here. With HTTPS/HLS you're securing your spot in future, OTT markets, as they easily augment with newer protocols (DASH/VP9) as they standardize. HTTPS breaks down file downloads into small chunks that initiate over a transport stream. These streams minimize buffering and are resilient to changes in network bandwidth. HTTP streaming scales to the strength of your network connection, encoding at different quality levels to sustain playback through lost connection. This is where the server comes to play. If you are truly looking to produce the next Netlfix, you're going to need some kind of secret sauce; for Netlfix, their secret sauce is a combination of DASH subset and PlayReady DRM. The shorthand version: you need a custom Webkit engine to forge Neflix-quality interoperability; Netlfix's Webkit QT engine is the stove they brew their secret sauce over. OTT servers exist as an index for variant streams, alternating between versions according to bandwidth. Simply put, how will you make money from your new OTT platform? We have three monetization models to choose from: AVOD, TVOD, SVOD. Although, YouTube now leverages TVOD services, they began as an AVOD pioneer. AVOD monetizes OTT services through advertisements, the most common strategy among OTT platforms. For YouTube, a house-hold name with a massive audience, AVOD compliments their ecosystem perfectly. After all, ad-based income relies on viewership, and if YouTube has anything, it has an evolving network of users willing to sit through ads for access to the content of their choice. Viewers accept that tradeoff because they know what's to follow, they know it will be delivered at a certain standard, and they know it will be delivered immediately after the ad cycle. Big OTT brands like YouTube have the luxury of loyalty because they were on the forefront of the broadcasting and media paradigm shift, and they define the parameters moving forward. Smaller brands (OTT platforms just entering the playing field) will need revenue support beyond AVOD. If we think of OTT monetization structures in more relatable terms, AVOD is a sales pitch you endure before refreshments in the lobby; you pay with your eyes and ears rather than a credit card. TVOD works on a pay-per-view basis, a la carte OTT content. This would be your Amazon Video rentals, any one-off service. TVOD is the antithesis to SVOD, where users pay a single fee to binge watch whatever they please without racking up an enormous bill. Unlike AVOD and SVOD, TVOD depends less on volume. Their revenue does not depend on an unfettered influx of viewers, because they are charging per view. See where SVOD charges, let's say, $15/month, TVOD charges $6.99/play. To keep customers engaged and buying, TVOD tends to offer more selective viewing experiences, things that subscription-based OTT platforms aren't offering. TVOD is a fine-dining experience, where you get what you order and nothing more. When we think OTT platforms, we think SVOD, even though this is the minority. SVOD's are the all-you-can-eat buffet of OTT. These are the big names dismantling cable bundles, giving us a little window into what the future might look like. SVOD services depend on a large network of subscribers comprised of a minority who watches an exuberant amount of content, a minority who watches hardly any content at all, and a bulk of subscribers who consume content at a leisurely rate. The most appealing component of SVOD services is their convenience; it's convenient to sign up, convenient to cancel. You have to understand that these monetization models can experience cross-over. In fact, most OTT platforms use a hybrid to maximize profit and open all possible revenue streams. 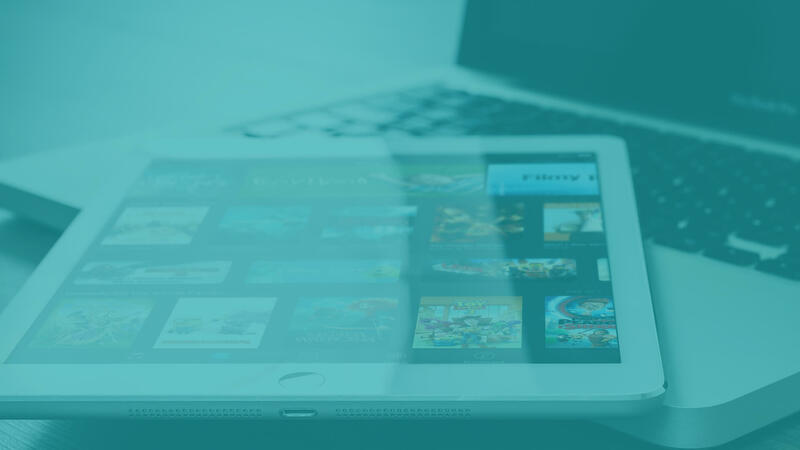 Prior to building an OTT platform, you first need to define your viewership and how you plan to capitalize from their demands. Okay, we have the data, we have the accessibility, the scalability, and the audience, but how will be deliver the content? A Content Delivery Network is a web of servers that deliver content to users when they make the request. You can build or buy you CDN, but when you buy you are at the mercy of a third-party. When you build your own CDN, you have ultimate control over your delivery, and gain the power to expand your offerings without compromising playback quality. OTT providers circumvent scalability issues by engineering a custom CDN based on their business objectives. When building a CDN, you can equate your IT investment costs (how much you would like to spend on the development) to the growth you expect to see within a year, within five, over a decade. If you want content that is consistently encrypted, personalized, and cached properly, and completely relevant to user requests, you by some means need to (build or buy) acquire a cloud-based CDN. 5. What Does Chetu Know About OTT Platforms? We know custom build is the best build when it comes to OTT, and we know how to build it. Most developers are localized to one specific niche, and while they may engineer a robust CDN with all the delivery features your audience is looking for, the frontend will be poorly written and the data management system will have accessibility issues. OTT brings many moving parts together, and requires a toolbox of programming skillsets, rather than a single wrench or hammer. Chetu is the toolbox in this scenario. We have the on-demand developers you need to put together the perfect OTT team—the visualization guys, the HTML warriors, the Cloud architects. Chetu's custom OTT platforms empowers clients by bringing their vision from concept to code, enabling creators to jumpstart the dialogue with their viewers and deliver content at an unparalleled quality. This is your business and no one else's—so why should there be middlemen involved? Custom OTT development renders third-parties obsolete and funnels all profit directly into your pocket. So here's the secret to becoming the next OTT streaming powerhouse: build something that doesn't yet exist, something custom-tailored to your vision and redirect the conversation in your direction. Like we said before, OTT is a natural progression. The mini computers we toy around with all day have embedded themselves in our every movement, our every decision—answering our questions, leading us from place to place, and listing the best Thai restaurants in a five mile radius. OTT is headed on the same ubiquitous path. No off-the-shelf, SaaS OTT option is going address the ubiquity that you need.